1. No other mammal has bony skin plates or a “shell”, which makes the armadillo easy to identify. 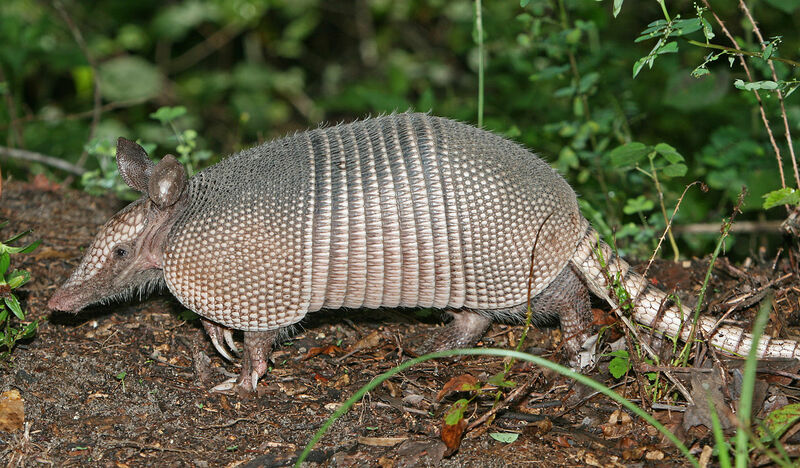 Theircommon name, armadillo, is derived from a Spanish word meaning “little armored one”. They are considered bothan exotic species and a pest. 2. Armadillos have few natural predators. Many are killed while trying to cross roads or highways or when feeding along roadsides. 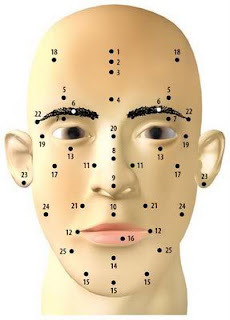 teeth range in number from seven to nine on each side of the upper and lower jaw. The long tapering tail is encased in 12 bony rings. The track usually appears to be three-toed and shows sharp claw marks. The armadillo is about the size of an opossum, weighing from 8 to 17 pounds (3.5 to 8 kg). 4. Scientists classify armadillos with anteaters and sloths. This tells us that they have poorly developed teeth and limited mobility. In fact, armadillos have small, peg-like teeth that are useful for grinding their food but of little value for capturing prey. 5. Wild armadillos live in the grasslands, forests, and deserts of North and South America. One species, the nine-banded armadillo, has extended its range as far north as the United States. 6. The smallest armadillo, the pink fairy armadillo, is only six inches long. Meanwhile, the giant armadillo can be five feet long and weigh up to 100 pounds! 7. While the animal's armor provides some protection, only the small three-banded armadillo can roll into a complete ball. Other species escape predators like wild cats and birds of prey by racing into thorny bushes or by burrowing into the ground with their sharp claws. 8. 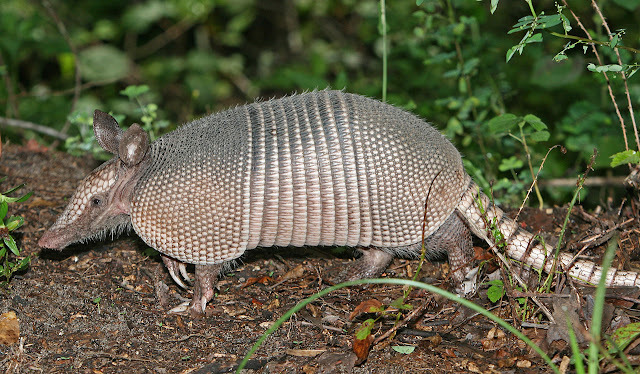 There are over 20 varieties of armadillos and most of them live in Latin America. The nine-banded armadillo is a species that has moved northwards into the United States. 9. Armadillos have poor eyesight.They utilize their sense of smell to hunt. Their strong legs und big front claws are used for digging and their long and sticky tongue is used for extracting e.g. termites from their tunnels. 10. Amongst other things, armadillos even eat fire ants, so it comes as no surprise that they are closely related to anteaters and sloths. 11. Prior to around 1850 the nine-banded armadillo was not found north of the Rio Grande river. 12. You could say that armadillos are crunchy on the outside but soft on the inside. 13. The female armadillo is the only mammal that can give birth to four identical babies with one egg. 14. Armadillos are the only animals that can get leprosy like humans. 15. Armadillos can walk underwater! 16. They don’t need to breath very often as have a very low need for oxygen. 17. During the Great Depression, armadillos were known as "Hooverhogs" because they were eaten instead of the "chicken in everypot" the President Herbert Hoover had promised. 18. Armadillos often end up as road kill because they have a habit of jumping up in the air when startled. This can be deadly when they are underneath a moving vehicle.